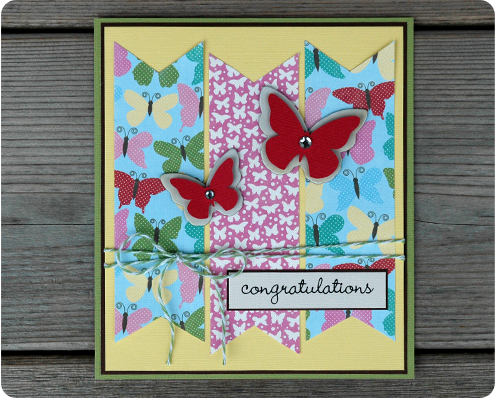 My favorite detail on this card is the layered butterflies. The chipboard butterflies are from Jillibean Soup, and I cut the red butterflies out using my Silhouette and layered them on top using foam squares. Love it! Another detail I like a lot is the twine tied around the card. 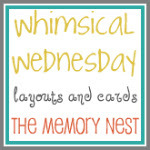 Beautiful patterned paper, lots of layers; I am so happy with how this card turned out. Beautiful card. 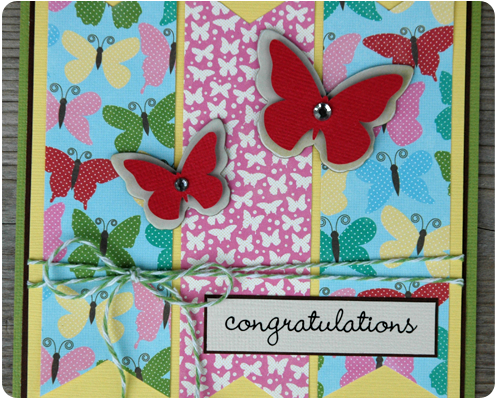 Love the banners, paper choice and the butterflies. Great layout. The butterflies are so cute. Hello Anna. Thank you for stopping by and for your lovely comment. This is beautiful ... I love the butterflies! Thank you Lanaya. I really appreciate you stopping by each week and taking the time to comment. Thank you Maria, and thank you for letting me know about your link party. I am heading over there right now to link up. Thanks for reading.